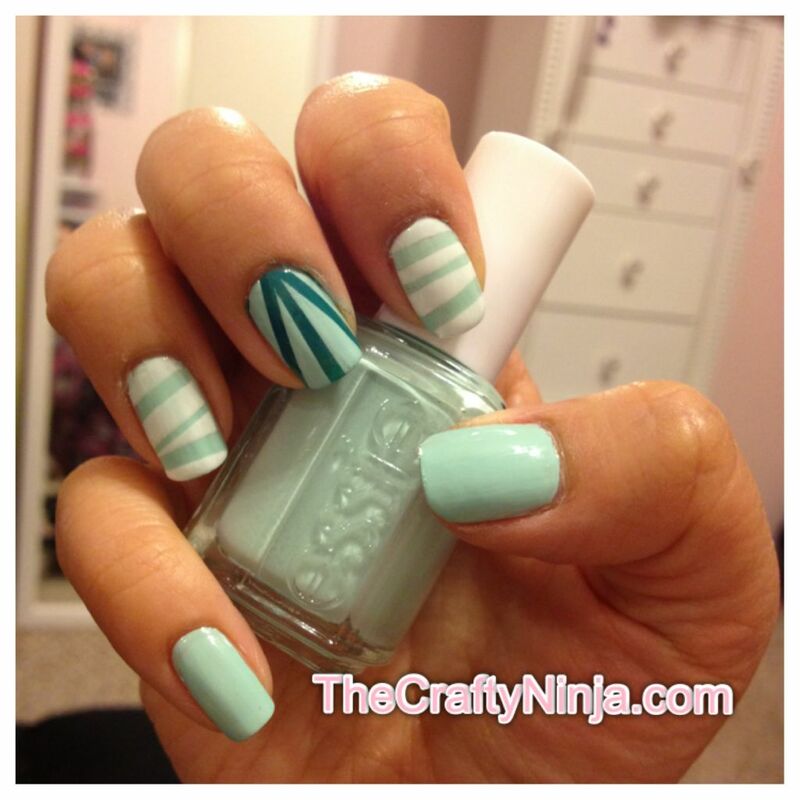 I am currently in love with my new Essie Mint Candy Apple. Here is my tutorial on how I created my sun ray stripes and the horizontal and slight diagonal stripes using tape strips. First paint a clear base coat and the nail polish colors. 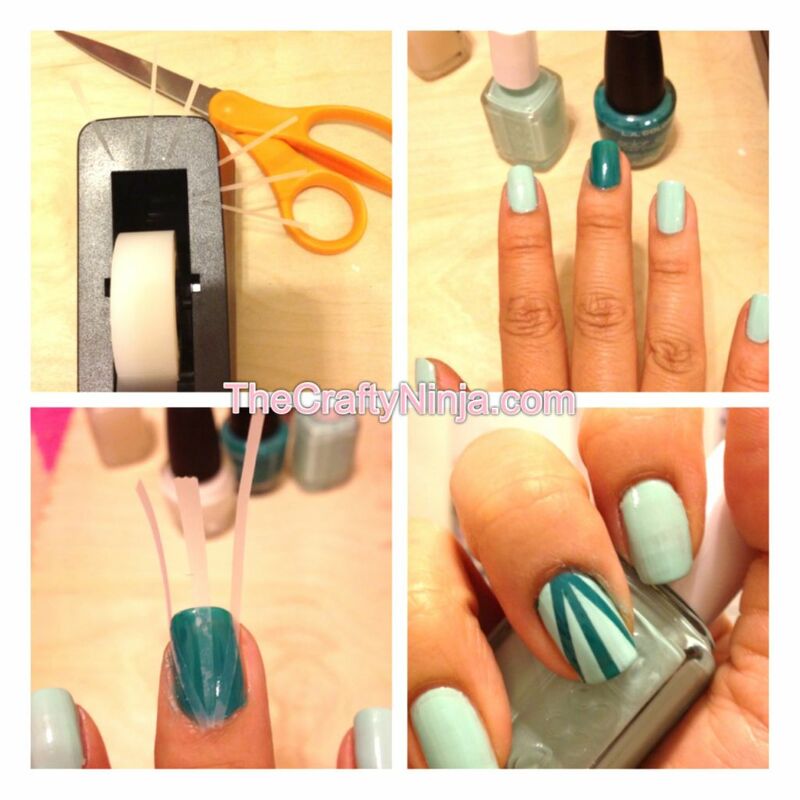 Be sure your nails are completely dry before adding the tape strips. To make the sun rays cut the tape into thin strips. Add the middle strip first, then add the two side strips in a diagonal direction. Press down firmly on the tape to remove any air bubbles so the nail polish won’t seep through. Paint over the entire nail. 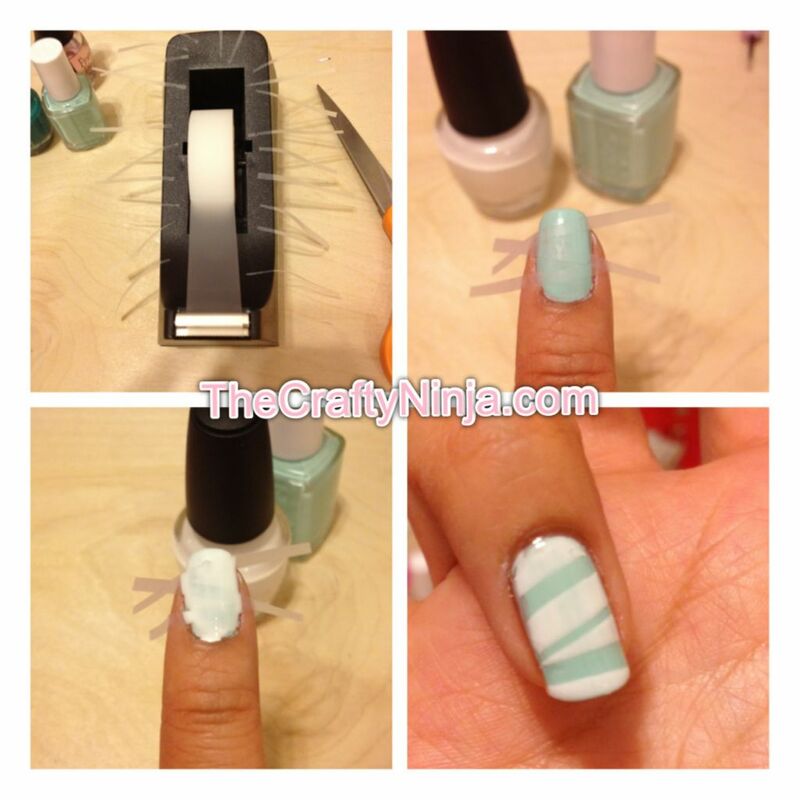 Let it sit for a couple of seconds and carefully pull the tape strips off one by one before the nail polish is dry. Let your nail dry before adding a top coat or the polish will start to blend. To create the horizontal and slight diagonal lines the steps are very similar to the sun rays accept the tape is turned to create a horizontal and slight diagonal lines. Painted over with white nail polish to create this effect. Let the nail polish dry before adding a clear top coat.